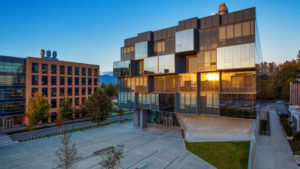 VANCOUVER, British Columbia–(BUSINESS WIRE)–Microbiome Insights, Inc. has announced the opening of its new laboratory on the campus of the University of British Columbia (UBC). The company, a leading end-to-end service provider for microbiome DNA sequencing and bioinformatic analysis, has expanded into its new state-of-the-art lab in order to meet the needs of over 100 clients. Founded by two world-leading microbiome researchers, Drs. Brett Finlay and Bill Mohn of UBC, Microbiome Insights has grown rapidly since its incorporation in 2015—supporting over 200 microbiome studies across academia and industry. The new laboratory, located in the UBC Pharmaceutical Sciences Building, enables the company to expand its capacity, hire additional laboratory technicians and initiate clinical laboratory (CLIA) certification. Microbiome Insights marked the opening of the new laboratory on May 28th with a reception and microbiome poster competition. Dr. Julian Davies, one of the scientists that spearheaded the NIH Human Microbiome Project (HMP) and Chair of the HMP External Scientific Board until 2015, spoke about the importance of microbiome research and the unique benefits of a UBC-based microbiome testing company.